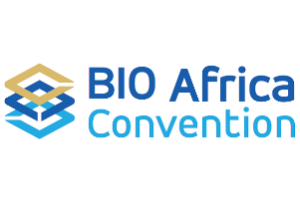 AfricaBio is proud to announce the annual BIO Africa Convention – aiming to bolster developments and relationships across Africa in the growing bio-economy of the continent. Biotechnology is a burgeoning business sector, across the fields of science, healthcare, food and making an impact in regulatory environments as well. It is especially having a profound impact in food security and health care with the development of new drought tolerant crops and vaccines for HIV and other viral agents. The South African Department of Science and Technology identified biotechnology as an area with great potential for the growth of South Africa’s economy and the development of society in general. The BIO Africa Convention is an international event co-hosted by the Technology Innovation Agency (TIA), an agency of South African Department of Science and Technology and AfricaBio, a biotechnology stakeholder association in partnership with other strategic partners. This is hosted in partnership with local industry and continental agencies. Using the OECD definition, biotechnology is the application of science and technology to living organisms as well as parts, products and models thereof, to alter living or non-living materials for the production of knowledge, goods and services. Biotechnology has been used to produce an number of products such as new vaccines, insulin and other hormones, pest or drought resistant crops like maize, soya or cotton. Under the theme, “Africa – Open for business: Together building the Bio-Economy”, BIO Africa Convention, aims to attract international investors and facilitate business networks and the collaboration of minds amongst industry, academia, regulatory authorities and future industry leaders. “The BIO Africa Convention will create an enabling environment for business to business interaction and foster partnerships between local companies and international investors, as well as strategic collaborations by industry players across the continent to promote and develop Africa’s bio-economy” -Dr Siyabulela Ntutela, AfricaBio, CEO.